1. 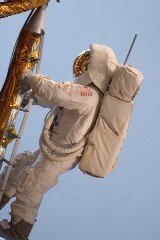 In space, astronauts cannot cry properly due to lack of gravity. Their tears cannot flow down their cheeks. 2. Beans are a big no-no for astronauts. They aren’t allowed to eat beans before they go into space because passing gas in a spacesuit damages them. * Venus is the sixth largest planet. Its orbit is almost circular and varies only 1%. It has the most perfect orbit of all of the planets. 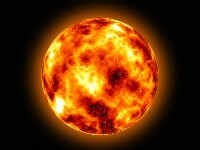 It is the second planet from the sun. * Venus is the brightest of all the planets and is named after the goddess of beauty and love. 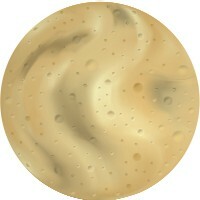 Most of Venus’ surface formations are named after females. ¢ It is the second smallest planet in our solar system “ only Pluto is smaller. ¢ It is smaller than Ganymede and Titan, the largest moons orbiting the planets Jupiter and Saturn respectively. ¢ Because the planet is so close to the sun at all times, it can be hard to see. The best times to view it are just after the sun has risen or set. 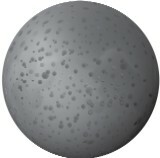 ¢ It is the largest object in our solar system. ¢ It measures 870 thousand miles in diameter. ¢ Its mass makes it one of the larger stars in the universe. Most stars amount to about half the mass of our sun, though some can be much larger as well. ¢ It is about four and a half billion years old.